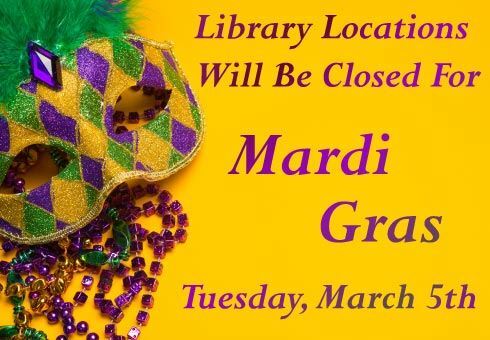 All branches of EBRPL will be closed tomorrow, March 5th, for Mardi Gras. We’ll open again on March 6th for regular hours. 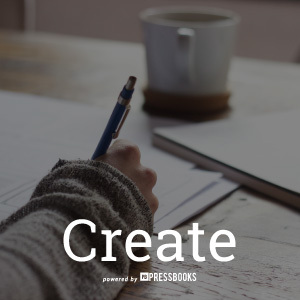 Don’t forget – for books, movies, and more, the Digital Library is always open! Did you know that you can track down distant relations and learn about your many-times-great-grandparents for free at your local library? 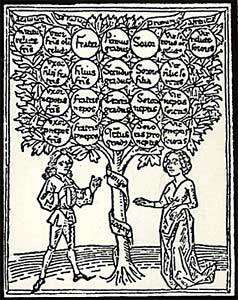 With the resources and excellent staff members in the Genealogy Department, finding information about your family history is a snap. From the area? Try the Advocate Historical Archive, a nearly complete collection of every edition of Baton Rouge’s The Advocate ever published. Not-so-local? Ancestry.com is one of the finest genealogical resources out there. It can only be used in-house, so you will have to be at any of the library branches either on your laptop or on one of our public computers, to use it. However, you’ll be able to freely access all of their great features when you’re here. Military records are available through Fold3, and you can access English and Irish genealogy records through Find My Past – that one’s also only available in the library or on library wifi. You can also access collections of African American historical newspapers and early records of free people of color in Louisiana. 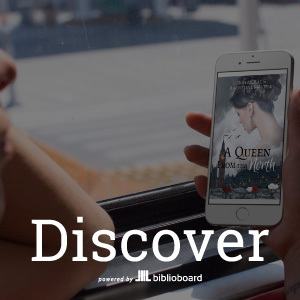 Learn who you are, and find new connections to your past – it’s all free at the library! East Baton Rouge Parish Library is proud to announce our partnership with Google Arts and Culture! Google Arts and Culture is a platform that allows cultural heritage organizations to bring their art and cultural collections to the masses using their state of the art platform. In honor of Black History Month, EBRPL has published its first ever online exhibit, “The Baton Rouge Swim-in” on Google Arts and Culture! 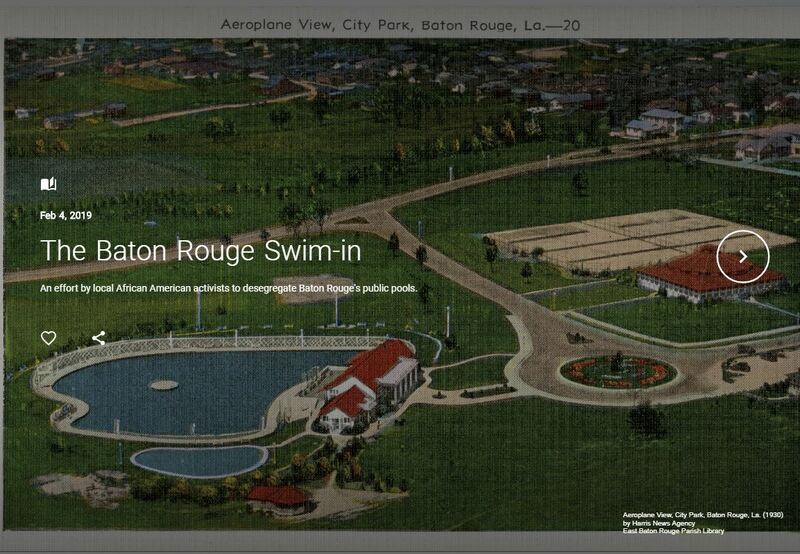 The exhibit examines the attempted integration of City Park pool in 1963 by African-American activists and how that event along with others contributed to the desegregation of local recreational facilities in East Baton Rouge Parish. Visit the Google Arts and Culture website to see our exhibit and explore the thousands of collections made available by cultural organizations from around the world. Have a suggestion or comment? We would love to hear from you! 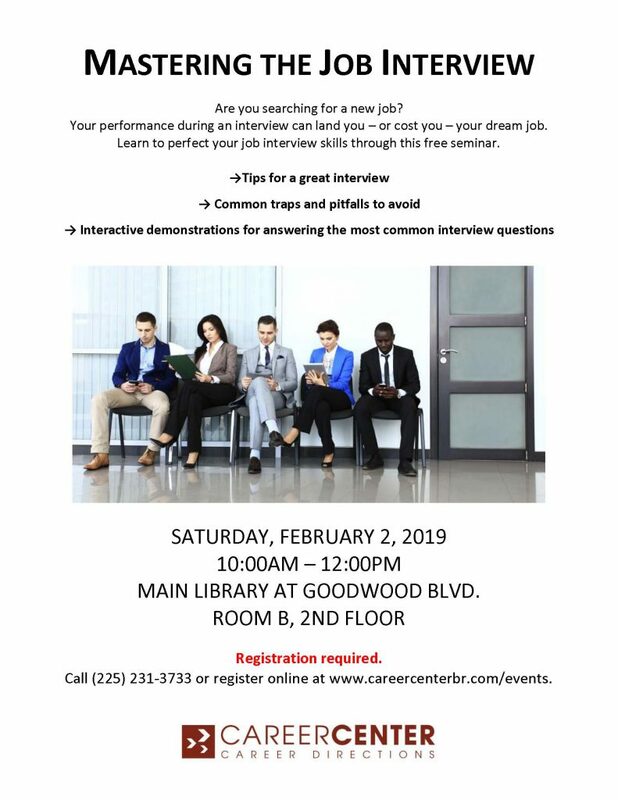 Contact us at 225-231-3752 or email Emily Ward at eward at ebrpl.com. 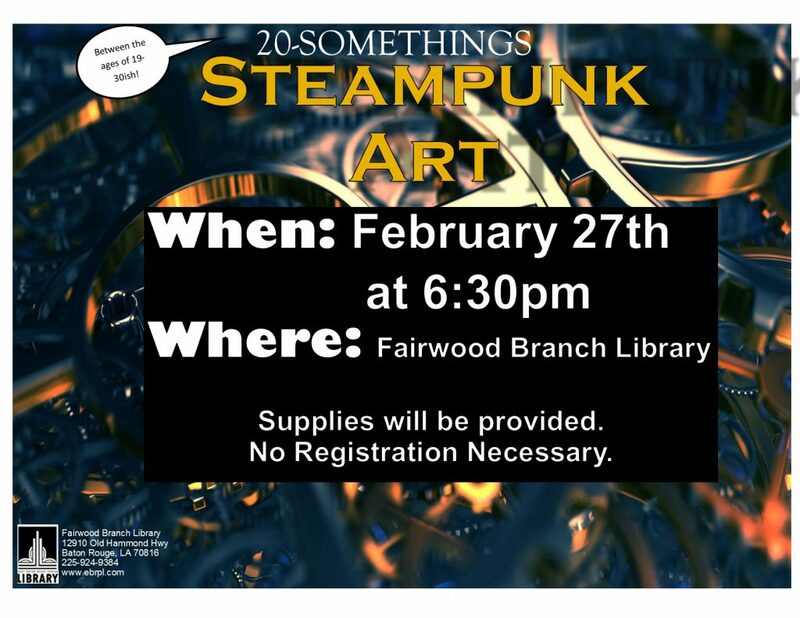 Come make some steampunk art with us! 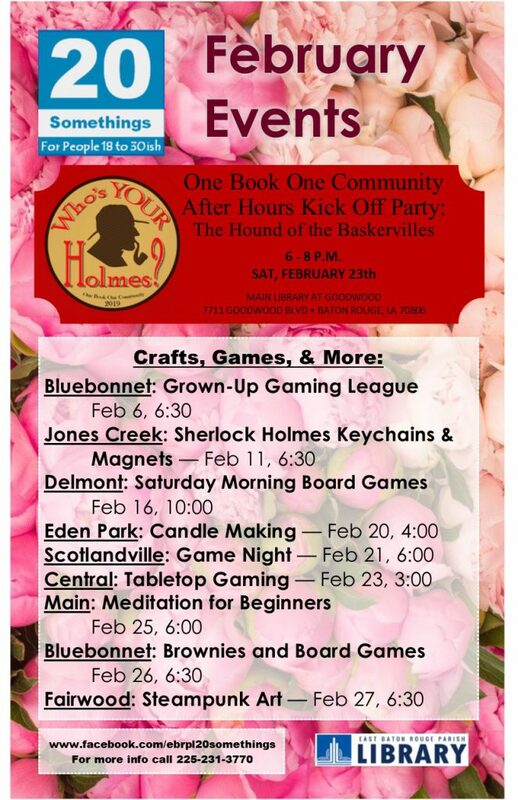 Meet at the Fairwood Branch Library on February 27th at 6:30 PM to create art of your very own. Supplies will be provided. Want to be reminded of this program? Join our NEW text reminder service! Just text @20some to 81010 to be signed up for reminders about all of our great programs. Join Mayor-President Sharon Weston Broome and friends and neighbors all over the city at the first 2019 installment of Operation Fresh Start, the Mayor’s community-wide clean-up effort! We’ll start on Saturday, February 16, at 8 am. Operation Fresh Start begins with a Saturday of beautification and litter pickup by volunteers, followed by a week of concentrated and aggressive DPW cleanup focused on clearing litter and blight as well as improving landscapes throughout East Baton Rouge Parish. With seven locations across the city, you can find one near you! Citizens and organizations interested in volunteering for Operation Fresh Start can sign up here. Where will YOU get a fresh start? 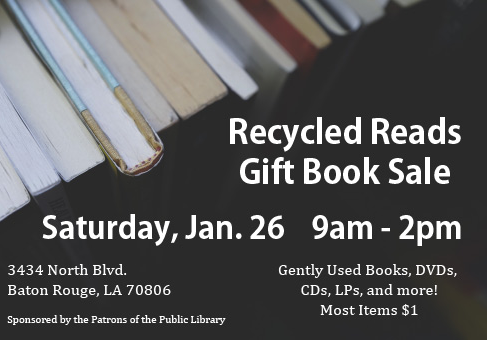 Recycled Reads is back! The library’s gently-used book sale will be held tomorrow from 9 AM-2 PM at 3434 North Boulevard. It’s not just books – you can find DVDs, CDs, LPs, and more! Most items are just one (1) dollar ($), so come see what you can find.